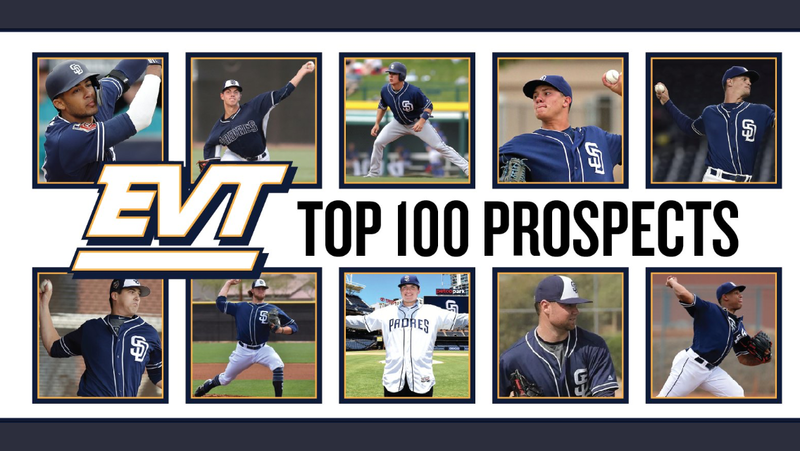 The EVT San Diego Padres top 100 prospects list. In the history of the San Diego Padres, there has never been an excess of talent like there is presently. There are literally dozens of teenagers within the system that could one day be serious prospects. Constructing a top 30 prospects list doesn’t really do justice for how deep this system is. I have created my list from the countless minor league games I have watched in the last three years in constructing East Village Times. I have witnessed most of these prospects firsthand in games and in workouts all over the country. I know some of these men and the type of personality they have. This is a very difficult task. Please take in consideration that these are my rankings and they are far from perfect. A prospects’ value can rise or decrease seemingly at the drop of a hat. The point of a piece of this magnitude is to educate the fan base how deep the farm system really is. This is my third edition of the top 100 prospects for the San Diego Padres. In the ninth round of the 2018 draft the Padres selected this right handed hitter out of the University of Kentucky. He has a line-drive stroke and some speed, but nothing to get excited about. Power is not his forte, but he does have a good eye at the plate. He is nothing more than a minor league depth piece at this point early in his career. 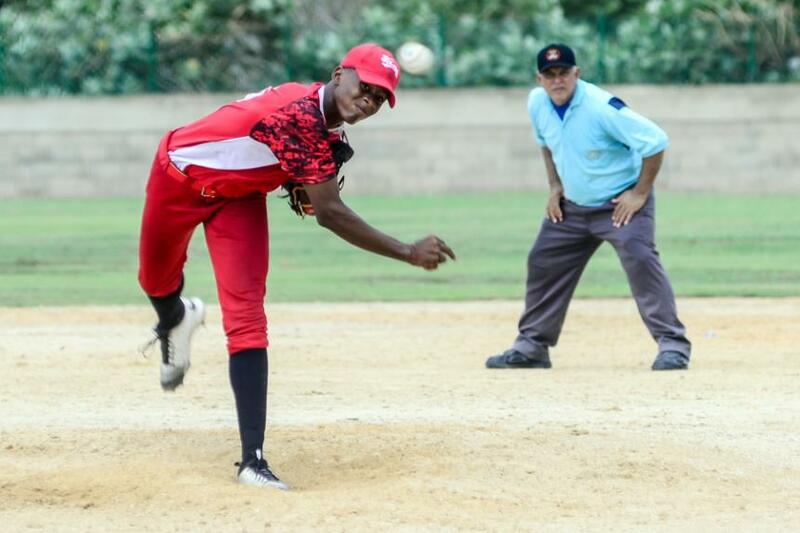 Colombian teenager Francisco Lucumi has a very decent arm. He is already hitting 90 mph+ on the radar gun at a very young age. He is a terrific athlete who was signed this July from the international market. He has very decent ceiling if he can make the adjustments to pro ball and also fill into his wiry frame. He has a solid delivery. Lucumi also has decent mechanics as the ball jumps out of his hand. He will likely debut in the DSL next season or maybe even make an appearing in the AZL in 2019. This speedy right handed batter has impressed in 2018 with his propensity to take a walk. He is doing that in the DSL, so there is some reason to be skeptical to some degree. There is some power to his swing, but he is very raw and does swing and miss a lot. Echavarria has plus speed and can play several different positions. His bat dictates he will probably either be an outfielder or shortstop, though his footwork in the infield is presently limited for such an important position. Scholtens was solid in Double-A this season, but has struggled in his promotion to the PCL. He was sent back to the Texas League. Scholtens is not a huge strikeout pitcher, as he generally is around the plate with his pitches. The Padres 9th round pick in 2016 could eventually find himself with a chance at a rotation spot. He does need to hurry in his progression, as some of the younger kids in the system are growing at an amazing pace. Left handed hitting catcher/first baseman Nick Gatewood was selected in the 11th round in the 2018 draft out of Georgia State University. He has a very nice swing, but there are some concerns if he can stick behind the plate. He has been working on defense at first base since joining the club in Peoria. The majority of his starts have been as a DH in the AZL. If he can remain a catcher, he could have decent value some day. Falling down this list big time is A.J. Preller’s first ever draft selection. Smith has battled control issues and recently battled some velocity concerns. He was demoted from Lake Elsinore back to Fort Wayne last month. He has looked better in recent appearances and could still find himself as a bullpen piece. The velocity has increased, but he probably will only be a two-pitch pitcher. This light hitting infielder has age on his side, but has shown little to no power in his minor league career. In fact he presently sits with zero home runs in over 600 at bats. The right handed hitter does have the ability to make contact holding a career .261 batting average. He can play all over the infield on defense and looks to be a utility option in the upper minors and possibly beyond. The Padres selected this right hander in the 4th round in 2017, but he has been slow to start his professional career. Keating is still a teenager and there is still time for him to figure it out. He has shown a good arm, but is struggling with his mechanics. He needs to find himself fairly soon in order to not be lost in the system. There is upside here. He was acquired from the Baltimore Orioles in 2016 for Odrisamer Despaigne. He had a pretty decent year that season in Fort Wayne and was set to start 2017 in Lake Elsinore. A torn elbow ligament resulted in Tommy John surgery before he could get going in California. He is working his way back presently in Arizona and looks to gain traction on this list very soon. I believe he could be a player to watch in 2019 to some degree. This 12th round pick in 2018 out of high school is still very raw. He is a big right handed hitter and a prototypical third baseman. Guilbe has plenty of power, but need to work on mechanics with his swing to create a better plain and make more consistent contact. He has a plus arm and could climb this list in time. He reportedly is working very hard to improve and has impressed the team in that regard. There is nice upside here with this hitter.